Last week I wrote about my love for the Cheese and Burger Society. 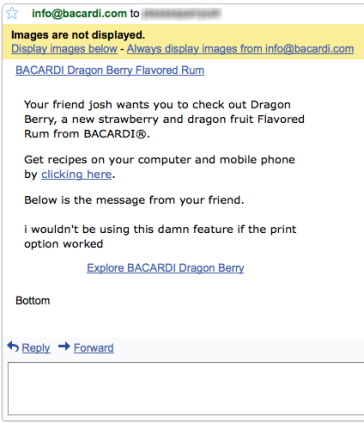 This week, I write about my not-love for Bacardi.com. My brother and I wanted Mojitos (should I be ashamed?). 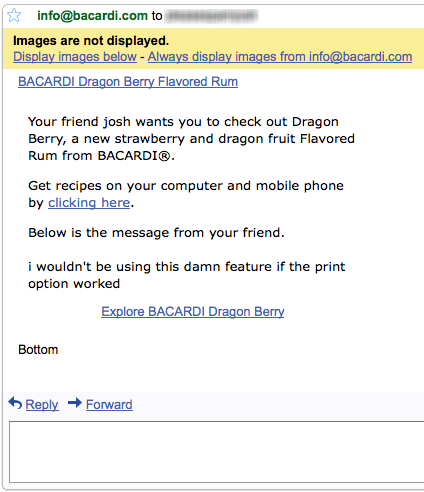 My hermano suggested we go to Bacardi.com, being certain that they would have a good recipe for a Mojito. 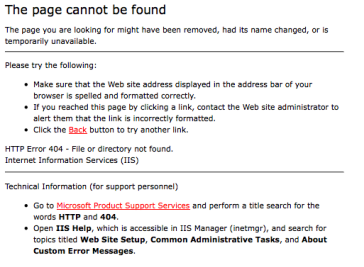 Three steps later, I decided to never use that web site again. Step 1: Use the calculator. I was actually really excited about this. We needed to buy supplies, and this was definitely going to come in handy. First, I told the calculator had 8 people and the party should last 4 hours. I was told I need 2 bottles of BACARDI, 24 limes, 2 cups of sugar, and 11 packs of fresh mint. Seriously? Really...I don't need any rum? None? It's magical! Step 2: Print the recipe. Step 3: Email the recipe, print it from my email. Finally, last resort, I chose the "email this to a friend feature." Yup, that broke. I swear to God, I was not looking for Dragonberry BACARDI. Step 4: Stop using Bacardi.com. Branded utilities have so much potential; but if the "utility" part isn't working out, it can actually do more harm for a brand than good. 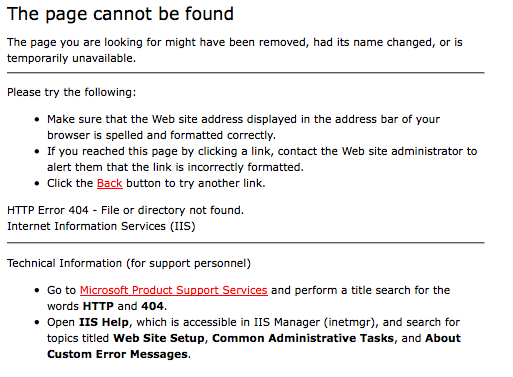 Next time I look for a drink recipe involving rum, I'll be looking somewhere else.